Are you ready for a first-class ticket to an earlier era? Interested in reliving the golden age of flight? If you choose a Fantasy Flight through Half Fast Flying Adventures, you will experience an aerial adventure in a vintage World War II trainer over the nostalgic Midwest countryside. We currently offer non-aerobatic flights for 15, 30, and 60 minutes. 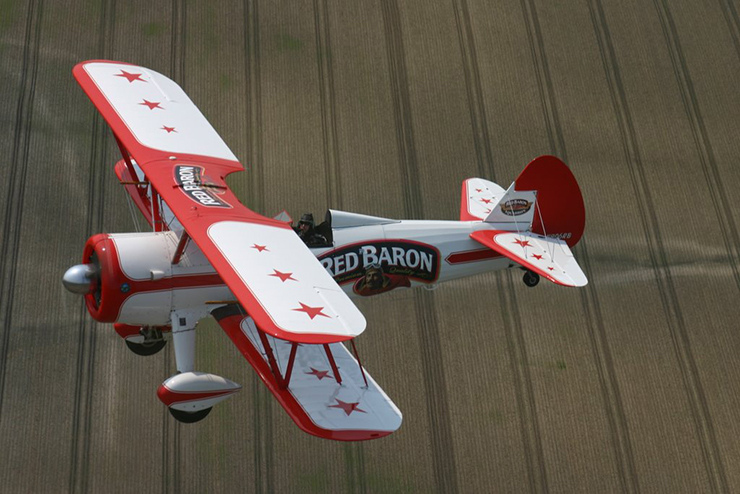 We also offer an aerobatic flight, which lasts 30-40 minutes. Fantasy Flight certificates are non-refundable and valid for 12 months from purchase date and may be extended by special arrangements. Certificates are transferable. Certain restrictions may apply. To participate in a Fantasy Flight through Half Fast Flying Adventures, you must sign an Agreement and Release of Liability. Bring a signed Agreement to your Fantasy Flight, or be prepared to sign an Agreement at the hangar before your flight. *Other payment options may be accepted. Please email us for more information. If you'd prefer to talk to us directly, email us your phone number and we'll call you within one business day.